Sure, the turrets and robots of Portal have been getting more attention out of late, but we should never count out the charm of the Companion Cube. 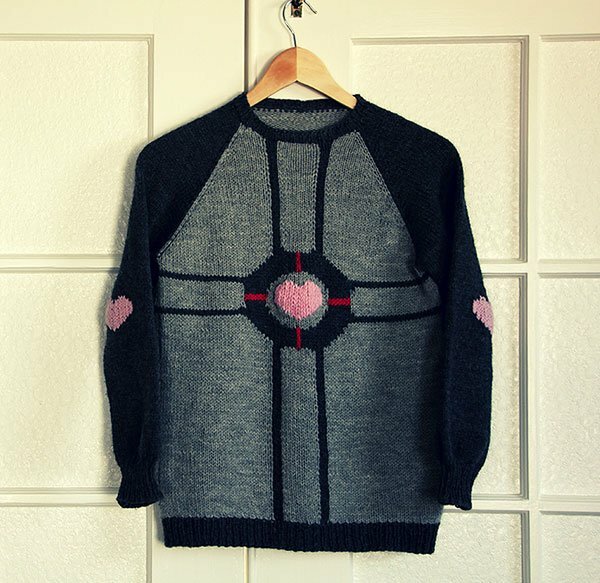 Just take a look at this Weighted Companion Cube sweater. It will never threaten to stab you. Tumblr blogger – Tumblrer? 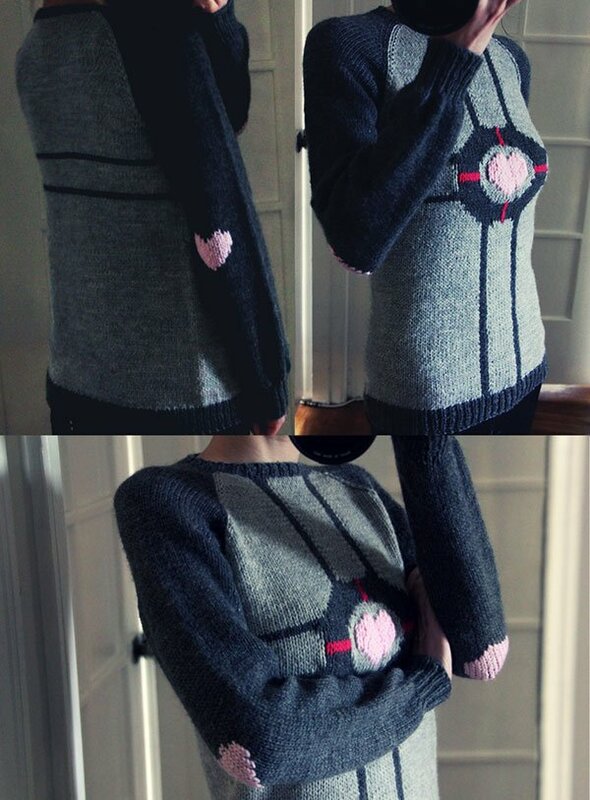 – Monday adapted the chart used to make this knitted Companion Cube and combined it with a raglan pattern to make this gray and heart-filled sweater. I’d tell you more about how Monday made it, but her instructions are filled with knit geek speak. I didn’t even read it all the way through – I hope the steps don’t include murdering a Companion Cube to use its hide. Head to her blog for more details, or check out her Flickr page for more pics.